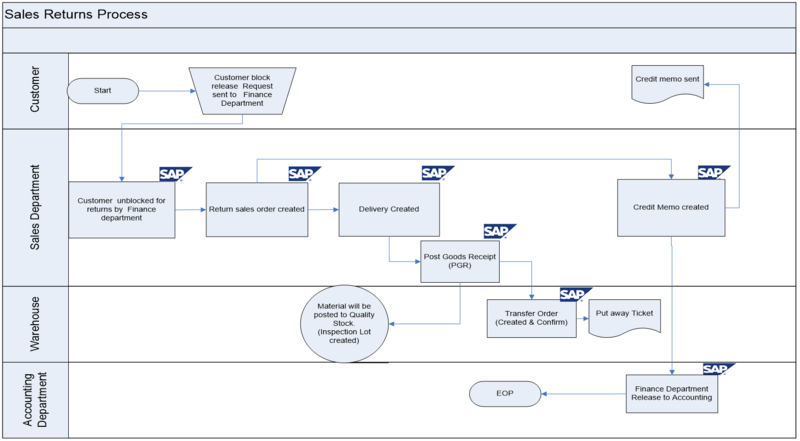 The purpose of this post is to create the Business Blueprint definition for Export Sales Return procedure in SAP SD required by the company you work with. Customers may return the stocks due to various reasons viz. difference in the unit price, quantity, product damages, batch shelf life, customer does not have enough space in his warehouse, delayed delivery, wrong item, and closing customer account.